Hi everyone. I hope today has started well for you and the week unfolds to be a happy, healthy and prosperous one. 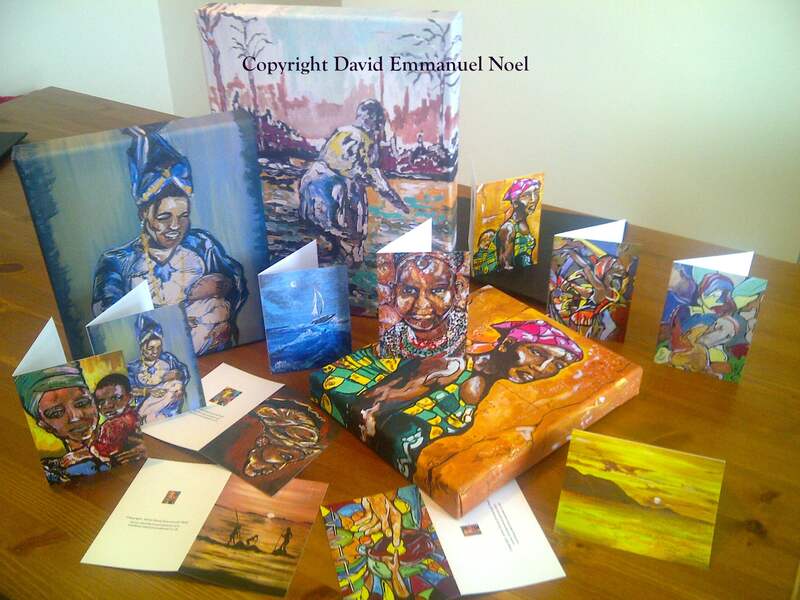 Original paintings, a selection of prints and gift cards are available for purchase from davidemmanuelnoel.com. Large prints (approx 40 inch x 40 inch) of images featured on my official website are available but please allow 21 working days for delivery. I look for 110% customer satisfaction, with buyers delighted with their items. Work is packaged and sent with this in mind! Therefore, if there is anything challenging your satisfaction please contact me and I’ll be happy to find a solution. 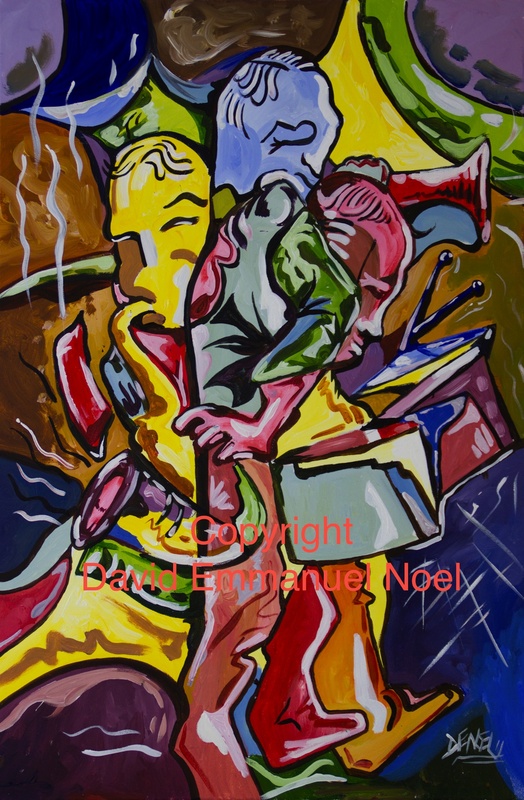 Paintings available for print include a number of older figurative and Afrocentric images such as Woman and Child, Cuban Lady to more abstract work such as featured image Nubijazz.